General bathymetry of the coastal ocean in the New York-New Jersey metropolitan region. Detailed bathymetric data provides a framework for future exploration. 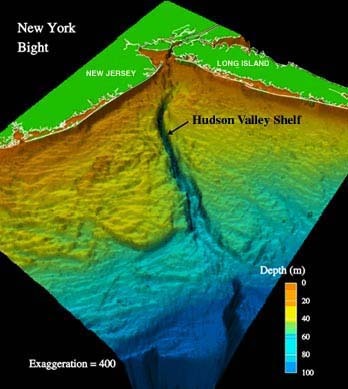 Image courtesy of Hudson Canyon 2002, NOAA/OER.